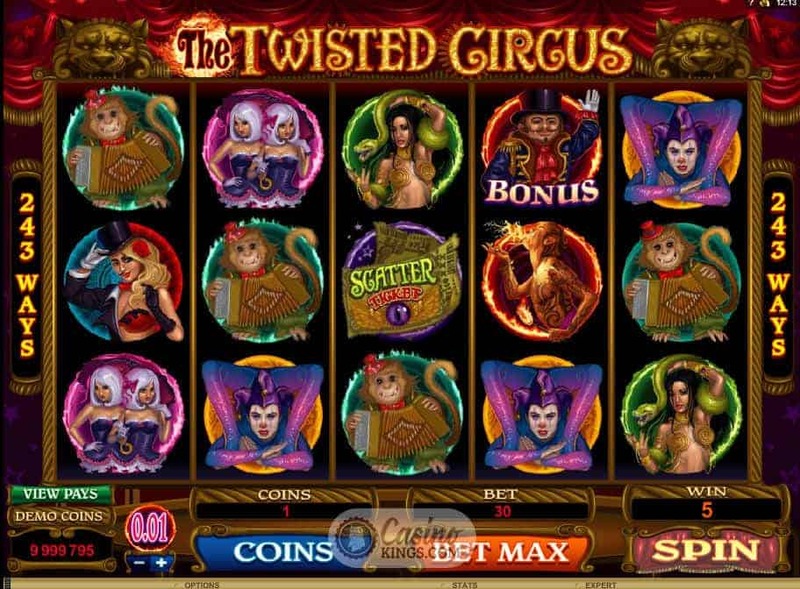 Step right up, ladies and gentlemen, and take a journey into the mysterious, magnificent and macabre, with The Twisted Circus Slot. 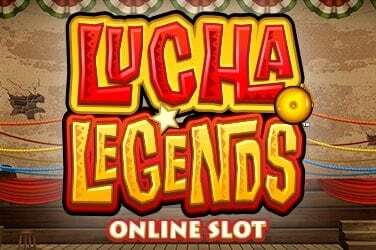 This is one of Microgaming’s latest online slots experiences for us online slots fans. That’s right the travelling troupe of developers behind such ground-breaking slots presentations as Terminator 2, The Dark Knight and Tomb Raider are back again. This time with an unmissable medley of the brilliant, beautiful and bizarre. Gasp at incredible feats! Gape at astonishing freaks! Win fabulous prizes! From the billowing crimson curtains to the rich golden piping adorning every edge, the visual presentation in this game exudes the glamour of the big top. It wouldn’t be much of a twisted circus, though, without a dark side. That’s provided in ample supply by the five beautifully illustrated reels. 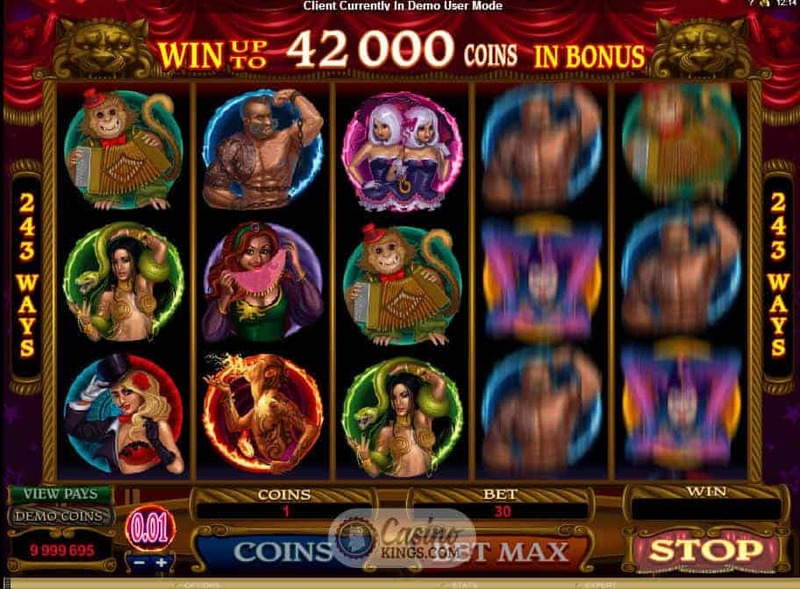 Circus denizens stare out from the slots with subtly sinister expressions, accompanied by fireworks and fanfare, they spring into life each time a winning combination is made. In the background, an ever-so-slightly discordant rendition of the Circus March trundles on to delightfully creepy effect. The production values on display here are second to none. 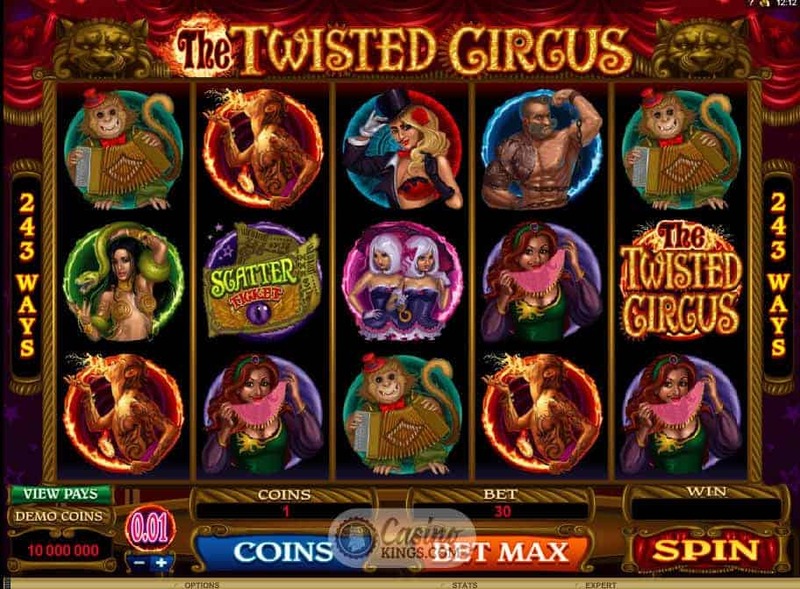 Microgaming have expertly combined artwork and sound design to evoke an exciting and unsettling atmosphere in The Twisted Circus. 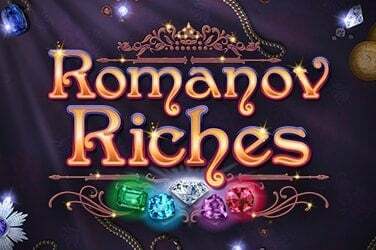 Which perfectly complements the smooth game play to generate an exceptional online slots experience. No carnival is complete without exciting games of chance and the promise of fabulous prizes. And The Twisted Circus certainly doesn’t disappoint on this front. The most unique offering here comes courtesy of the ringmaster himself. Land three ringmaster symbols anywhere on the third, fourth and fifth reels to be whisked up to the main stage to play a special bonus game. This is where matching any three symbols will earn you an animated performance from one of the stars of the circus and a big pay-out. 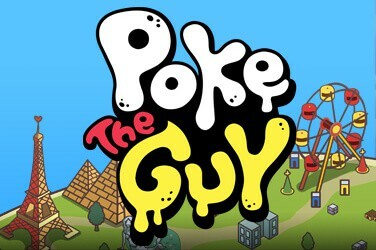 The Twisted Circus’ logo provides the wild symbol for the base game. Where wins are recorded for matching symbols left to right in adjacent columns, regardless of vertical position. 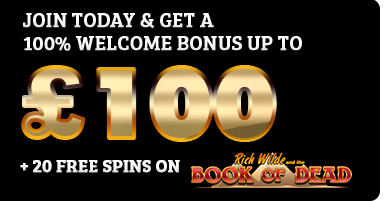 Golden circus tickets are scatter symbols – two of these anywhere on the board earns a pay-out, but landing three or more will net you thirteen free spins with triple winnings. 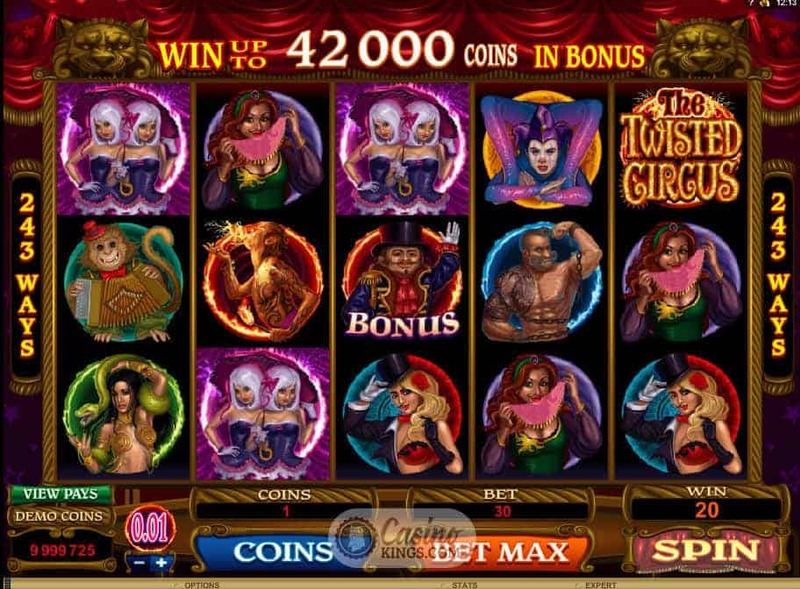 For those with a love of the weird and wonderful world of circus sideshow attractions, The Twisted Circus Slot is a real treat. 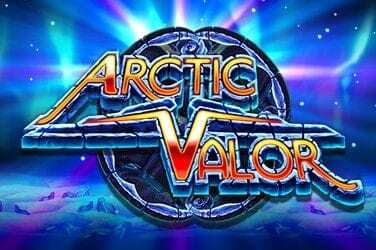 Boasting excellent art and sound, colourful characters and interesting bonus features, this is one of Microgaming’s most polished productions and worthy of performing centre stage in the big top!